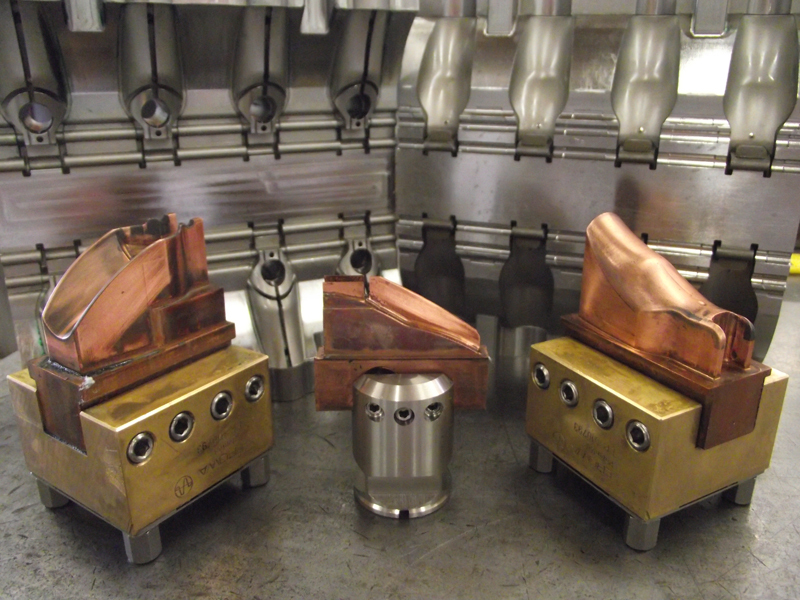 A tooling manufacturer says the combination of a new Sodick EDM AG60L spark eroder and switching to Vero Software’s dedicated electrode design module, VISI Electrode, has completely revolutionised the production of their copper electrodes. The Managing Director of Alliance Tooling Ltd, Luke Parsons, cites an example of a mould they made recently for the trigger of a household cleaning spray. “We needed ten different electrodes for the tool, which, previously, would have taken ten hours to create. Each electrode used to take an hour to model, but VISI Electrode has reduced our design time by 80%, with each electrode now taking less than 10 minutes to produce.” Toolmaker Ian Jarvis says VISI Electrode has made his job considerably easier. “Once I’d made a few changes to the fillet rads on the trigger mould I simply clicked on the faces I wanted to spark and enclosed them with a 3D boundary. They were immediately extracted from the tooling model, providing a quick and simple way to arrive at the required electrode geometry.” More complex areas are extracted just as easily using a graphical face selection. Leicester-based Alliance Tooling make aluminium and steel moulds for household goods, point-of-sale, garden products, the building industry, medical and dispensing products, and the automotive sector. They first realised they needed to improve their electrode design and manufacturing processes while building a mould for a drug dispensing component which required a large number of electrodes, but with a short production window. “This highlighted a bottleneck with producing electrode models and sparking them,” says Luke Parsons. The Sodick AG60L 6-station toolchange spark eroder overcame the sparking bottleneck. “The roughing cycle is far faster than anything we’ve seen before, and with the tool-changer we can maximise lights-out usage.” The use of VISI Electrode means Alliance have electrodes ready before they need them. “In the past we’ve been sparking electrodes as soon as they’re available, then production stopped while we made another.”Alliance realised VISI Electrode would be perfect for keeping the Sodick fed with electrodes for sparking, there was one further hurdle they had to overcome before their full electrode process was complete – toolpath production. “Until recently we only had one holder, but now we’ve created a dedicated jig comprising four new electrode chucks in specific datums on a hardened and ground steel plate.